We had our first "real" snow on January 1 so we took the opportunity to introduce Mollie to it! I sure am glad we went out first thing in the morning...it was totally melted away a few hours later due to the rain. 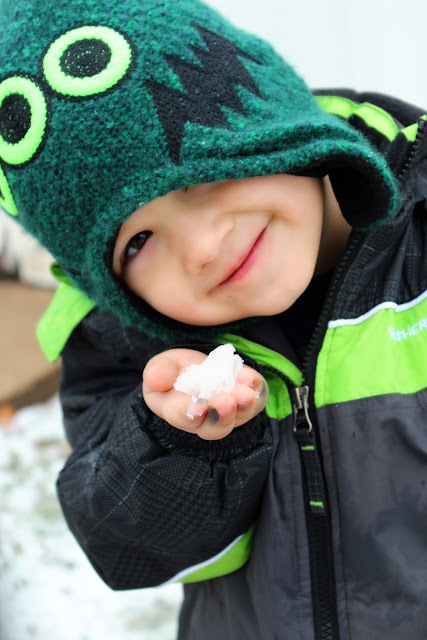 I know one little boy who is looking forward to more snow this winter!